click photo to enlarge Well, Living Social and Groupon strike again. There was a sale of 20% off their usual half off price for the Queen Mary so I went for it. Between these two deal web sites they can keep us busy. The last time we were at the Queen Mary was in the late 90s when we lived in Ohio and took a vacation trip to California. 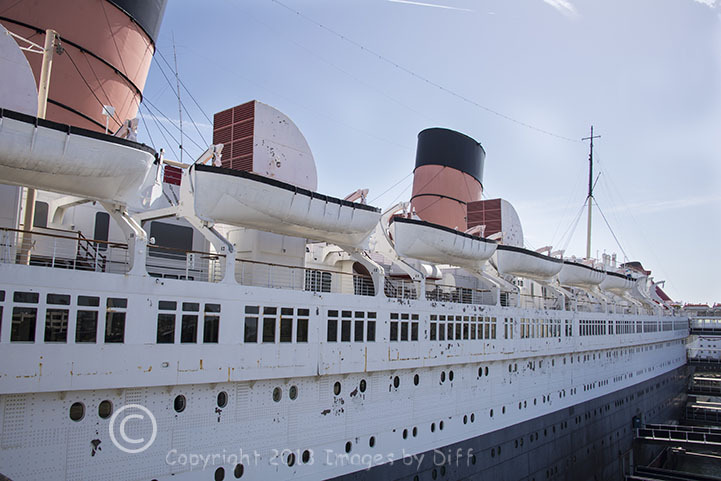 The RMS Queen Mary has been permanently moored in Long Beach since 1967. The ship served as a passenger ship from 1936 until the outbreak of World War II, when she was converted to carry allied troops. After the war. 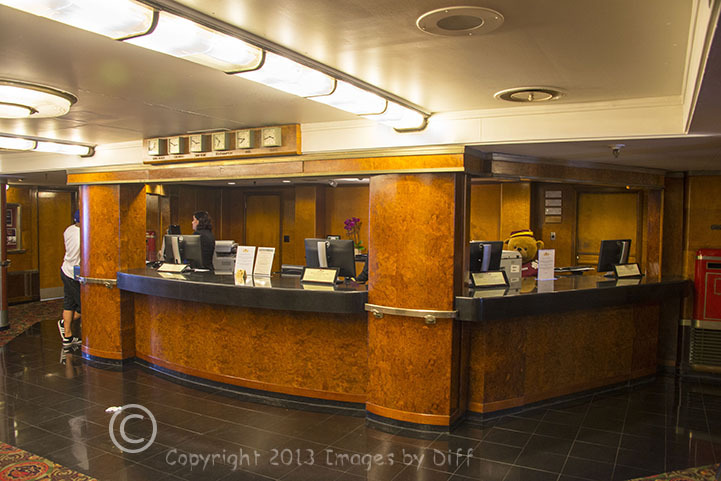 she was converted back to a passenger ship and remained that way until 1967. 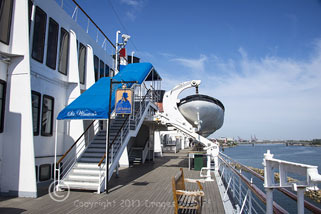 Todaym the Queen Mary is used as a tourist attraction with a Hotel, Restaurants, event center and Museum. click photo to enlarge Construction of the ship began in late 1930 and was only known as Hull 534. Because of the Great Depression work halted and Cunard ended up applying to the British government for a loan in order to complete the ship. 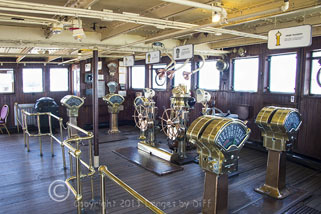 The ship was finally completed in 1934 and could reach speeds of 28.5 kn or about 33 Mph. 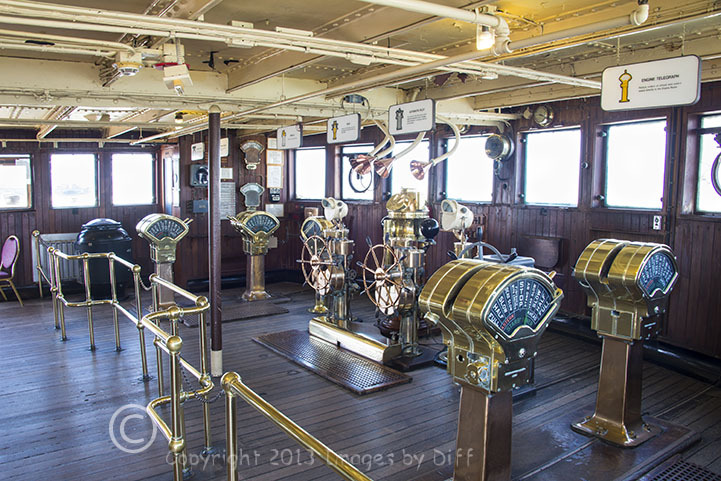 The ship carried 2,139 passengers: 776 first class, 784 tourist class, 579 third class. The coming of the Jet Age of airplane travel in the late 50 to early 60s was the final blow to the Queen as a passenger ship. People became more interested in crossing the ocean fast rather then in comfort and luxury. 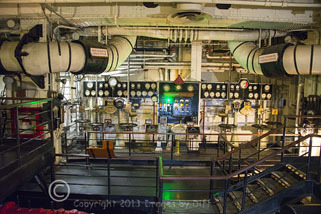 click photo to enlarge Much of the machinery, including one of the two engine rooms, three of the four propellers, and all of the boilers, were removed. 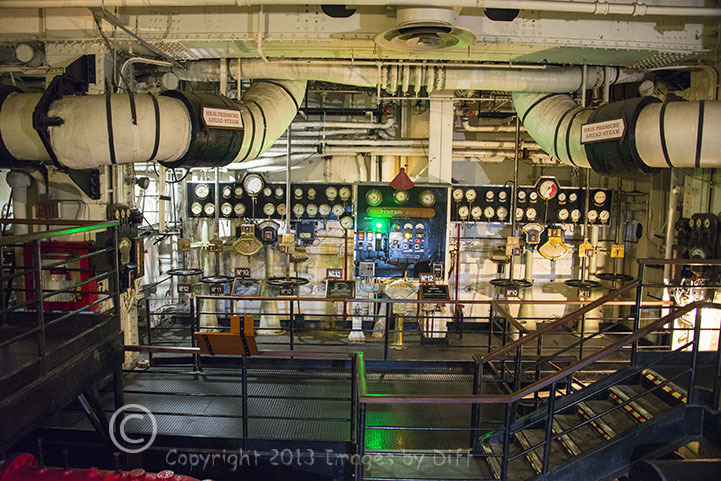 However, you can go down and see the one engine room that is still there. 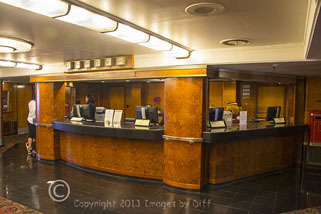 On a tour of the ship they took us down one of the hotel hallways near the front of the ship and then had you turn around and pointed out that because of the way the ship is build with a curvature you can't see the other end of the hallway. It is built with this curvature for strength.